Ryanair announced on Monday that it will stop its direct flights between the cities of Athens and Thessaloniki beginning on April 1, 2019, according to greekreporter.com. The popular low-cost airline gave no explanation for the move. The announcement noted only that the last flight between the two largest Greek cities will take place on March 31, 2019, going from Thessaloniki to Athens. 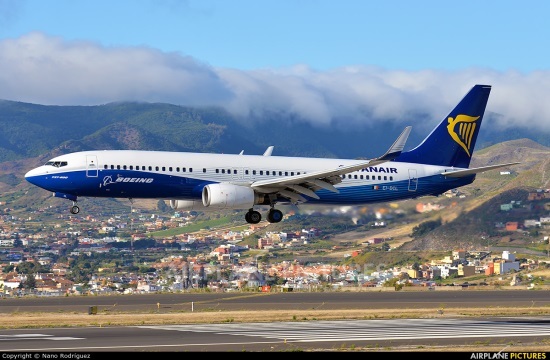 Ryanair also announced that direct flights between Athens and Chania, Athens and Rhodes and Athens and Mykonos will also be stopped for the summer season of 2019. The carrier was founded in 1984 in Dublin, Ireland. It is currently Europe’s largest airline measured by the number of scheduled passengers, annually carrying more international passengers than any other European airline.